Just a day after he endorsed Donald Trump for president, Paul Ryan says he "completely disagrees" with the presumptive GOP nominee's attacks on a federal judge. In a radio interview, the House Speaker explained that he didn't understand or relate to the way Trump has handled the situation with U.S. District Judge Gonzalo Curiel, who is currently presiding over a fraud case involving Trump University. "The comment about the judge the other day just was out of left field for my mind. It's reasoning I don't relate to. 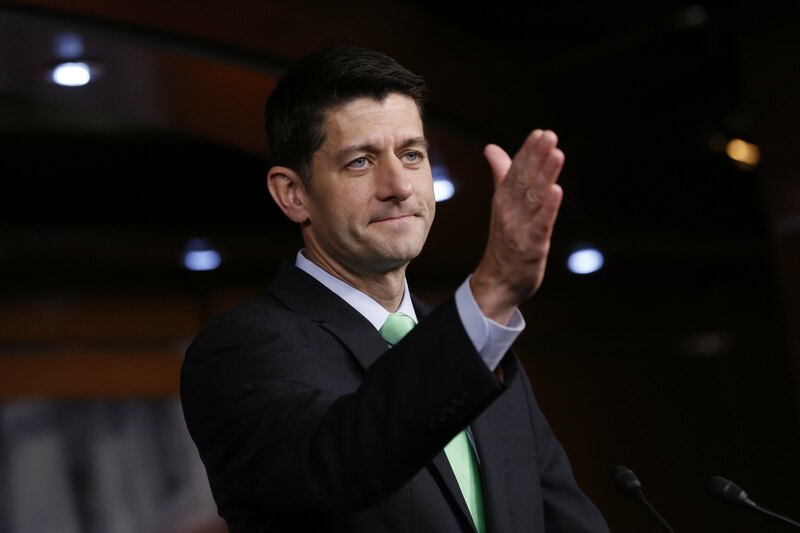 I completely disagree with the thinking behind that," Ryan told Vicki Mckenna on WISN 1130 in Wisconsin. "And so, he clearly says and does things I don't agree with, and I've had to speak up on time to time when that has occurred, and I'll continue to do that if that's necessary. I hope it's not." Trump has questioned Curiel's ability to be partial in his ruling due to the fact that the judge is of Mexican descent and belonged to a Latino lawyers association. Trump told the Wall Street Journal those factors constitute "an absolute conflict" in the case because of his tough stance on illegal immigration and promise to build a wall along the border with Mexico.